The global market for extracorporeal membrane oxygenation (ECMO) machines is steadily occupying a prominent role in the field of organ support mechanisms that serves clinicians and patients across a number of a medical specialties. This relatively new and advanced approach is gaining increased adoption in the intensive care management of a mounting pool of patients with conditions such as respiratory failures and acute cardiac failures. As the number of geriatrics falling prey to such conditions rises at an alarming pace, the demand for effective interventions is also massively rising, across developed as well as developing economies. 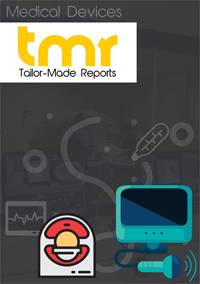 The trend is likely to remain strong in the next few years as well allowing the global ECMO machines market promising growth opportunities in the next few years as well. ECMO machines are also being widely used for patients recovering from lung or heart failures and the ones suffering from a variety of acute respiratory distress syndrome. The better efficacy of these machines as compared to most other conventional treatment options used by clinicians is working in favor of the global ECMO machine market. The market is also massively benefitting from the vast improvements recently witnessed in the area of standardized ECMO practices, especially in the area of venovenous ECMO. These developments could open up promising growth opportunities for companies operating in the global ECMO machines market. Asia Pacific will present substantial opportunities for expansion. The increasing investment in the healthcare infrastructure, numerous government initiatives, greater adoption of technology, and rising disposable incomes of people have been responsible for the growth of the countries in this region. A number of government hospitals in India such as Apollo Children’s Hospital (Chennai), KIMS (Telangana and Andhra Pradesh), and Ruby Hall Clinic (Pune) have been offering ECMO services for children and adults, ensuring the growth of the market.